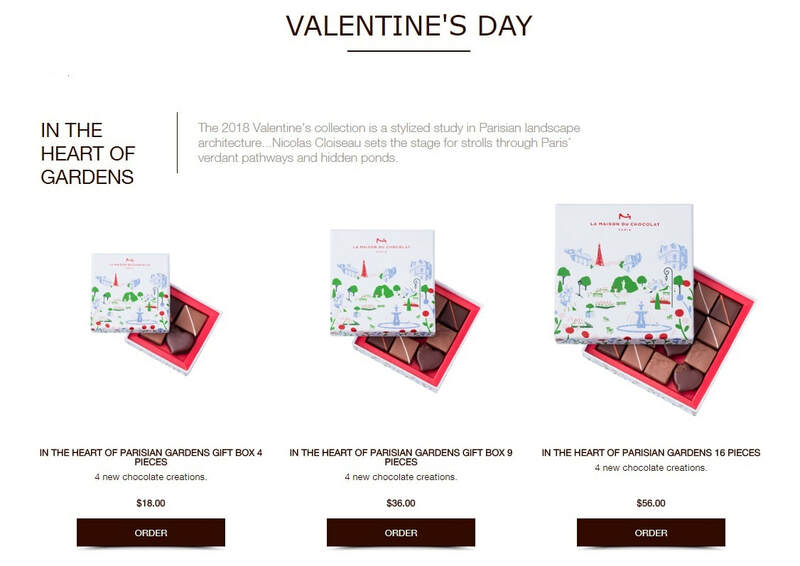 La Maison du Chocolat’s Valentine’s collection is a stylized study in Parisian landscape architecture. Nicolas Cloiseau sets the stage for strolls through Paris’ verdant pathways and hidden ponds, from rows of linden trees to the orangeries of the gardens. Tenderness is infused into this year’s Valentine’s Collection depicting the City of Lights in a beguiling melody of fragrances and flavors. With its more moderate tones, the fruity sensation of a sweet mango gelée, mixed with a subtle dash of vanilla, is juxtaposed to the delicate undertones of white jasmine flowers. 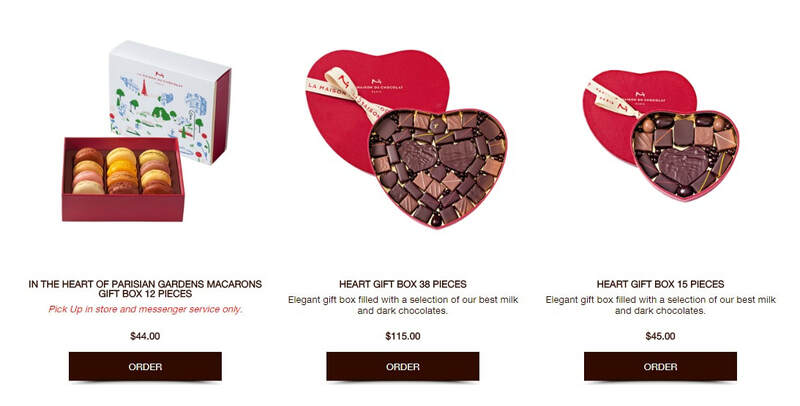 In a rich, creamy ganache the fruit and infused flowers are enhanced with salty a touch of caramel. 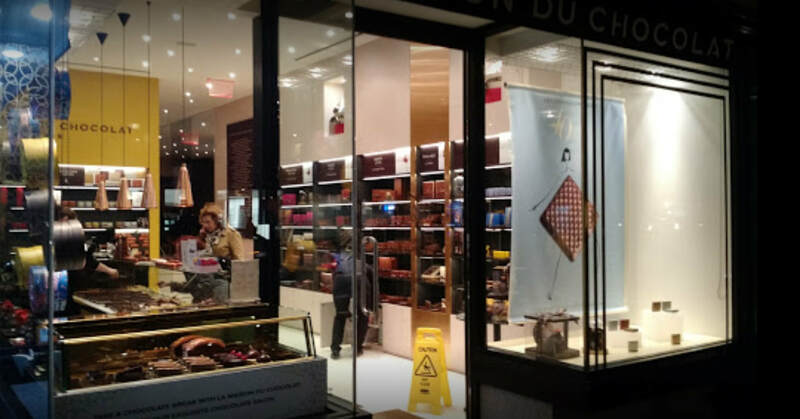 La Maison du Chocolat turned to the masterful watercolor strokes of Kim Roselier to dress up their Valentine’s Collection. Known for her inventive use of color, this graphic artist, passionate about design, approaches her art in a contemporary and poetic way. The elegance of her illustrations captures the chic Parisian spirit of the leisurely strolls of Nicolas Cloiseau through the gardens of Paris. Lime tilleul honey: milk chocolate ganache with tilleul, tilleul honey, enhanced with lemon juice.